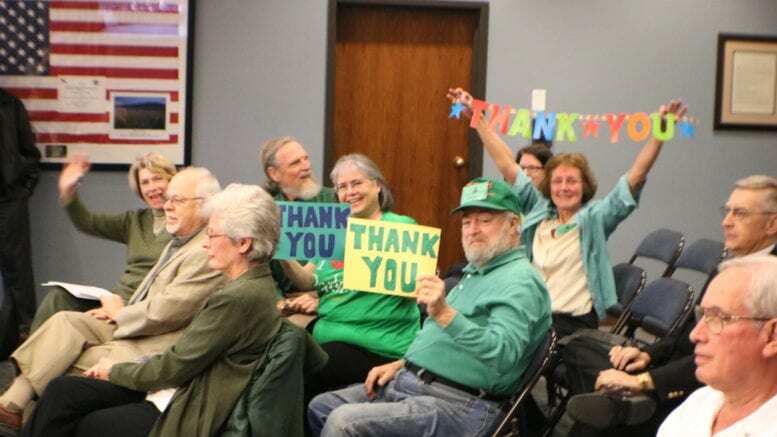 Supporters of new public parks for Cobb County silently celebrated by holding up “Thank You” signs, as the county commissioners voted unanimously to issue bonds for the acquisition of land for parks. In 2008 the Board of Commissioners had approved a resolution for $40 million in bonds, and the voters approved it in a referendum by a large margin, but the county put the plan on hold in the face of the recession and the drop in property values in 2009-2010. The county will now move forward by issuing bonds up to a total of $24,700,000, which is the maximum possible under the remaining schedule of the existing bond resolution. 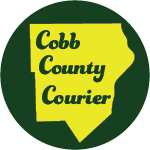 The county estimates that the bonds will create the need for a 0.13 percent increase in the millage rate to service the debt. He mentioned his objections during his campaign to the lack of a referendum on the SunTrust stadium deal, and said as a matter of principle this applies to the park bond as well. After the vote supporters of the referendum assembled in the lobby of the commissioners board room.